ehong Chen saw early and clearly the internet's potential as a medium for businesses to interact with customers on a one-to-one basis. Way back in 1992, when media giants began mulling the possibilities of video-on-demand as the ultimate goal of interactive TV, Chen saw the need to create a completely personalized home shopping network that could tailor information to each home. In 1993 he founded Broadvision and, after 100-man-years of development, released One-To-One, the world's first e-commerce software. The investment community fell in love with the concept, sending Broadvision shares into the stratosphere. Two years later investors decided the internet wasn't real. The ensuing NASDAQ meltdown forced Chen to take his company through a humiliating 9-for-1 reverse stock split on July 24, 2002 just to return share prices above the $1 threshhold. By that October Broadvision's valuation had plummeted to a puny $37.7 million, essentially the amount of cash and liquid assets on hand. In one dizzying fall, one of the tech boom's brightest stars had lost 99.87% of its brilliance. At the age of 45 Chen had been reduced to a mere millionaire. It would have been easy to throw up his hands and find some tropical island on which to lick his wounds. But Pehong Chen stayed and continued the brutal cost-cutting begun in 2001. By the end of 2002 Broadvision's workforce had been reduced to 449 full-time employees. Chen's reward came in the very next quarter: Broadvision reported a $1.3 million profit on $24.5 million in revenues. The numbers were humble, but they proved that, even in a post-bubble economy, the company and its enterprise portal software were real. Its client list had grown to 1,200, including 8 of America's 30 largest companies, the State of California and the U.S. Air Force. Pehong Chen was born in 1957 in Taiwan. At age 7 he became an aspiring violinist. By the time he started National Taiwan University, he had switched to guitar and joined a rock band. He got a degree in computer science, served his two-year compulsory military stint and immigrated to the U.S. with his wife. Both received fellowships to Indiana University at Bloomington. Both earned masters degrees in computer science before moving to Northern California. Chen attended Berkeley for his Ph.D., and his wife went to work for a database company called Ingres. 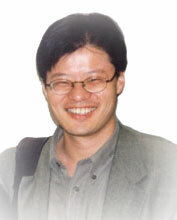 Chen was recruited by Italian electronics giant Olivetti to do leading-edge multimedia development with top researchers recruited from Xerox Park. By 1988 Chen was developing a computer teleconferencing systems which Intel still sells as ProShare. After only three months Chen grew frustrated. He finished out a full year and left in 1989 to found Gain Technology with $4,000, half from Chen and half from a partner. They wrangled a meeting with Matsushita execs and proposed a multimedia software system to enhance its computer business. They were rewarded with a $15 million contract. To this day Matsushita aggressively sells the software as Gain Momentum. In 1992 Sybase offered $100 million for Gain. Chen sold and signed a three-year contract as vice president of multimedia. When the contract expired in 1993 he started up Broadvision. erry Yang isn't so much a visionary as a joyful fairy-tale yokel rewarded for a joyful and fun-loving spirit. But let's give credit where credit's due. Back in late 1994 when Yang saw that his quirky personal website was getting 100,000 visitors a day, he saw its potential to become a web directory for every netizen. He took time off from his Stanford engineering degree, picked up a briefcase and began knocking on doors. In less than a year and a half venture capitalists maneuvered Yahoo! to one of the richest IPO's in Silicon Valley history. Suddenly Jerry Yang and partner David Filo were millionaire boy wonders beaming out from magazine covers around the world. They became icons of the internet craze. Within two years Yahoo! 's market valuation had shot up to $30 billion, putting Yang's 11% stake at over $3 billion by the time he was 32. The status of controlling shareholder was ceded to another prescient Asian named Masayoshi Son whose Softbank snap up over a third of Yahoo! 's shares. But as co-Chief Yahoo! Yang remains the cheerleader, strategist and public face for the world's most popular web portal. Today Yahoo! boasts 230 million visitors per day and is venturing into everything from ecommerce to business services. Chih-Yuan Yang was born in Taiwan in 1967. His father died when he was 2. As he was about to enter his teen years, Yang immigrated with his grandmother, mother and younger brother and settled in San Jose. After he and fellow electrical engineering student Filo hit on the idea of a web directory, they hacked code to sort hyperlinks into hierarchies, giving birth to "Jerry and David's Guide to the World Wide Web". ene Kan is the James Dean of the digital revolution -- a charismatic rebel who excited popular interest with his personal style, only to die young. But he's also a bona fide tech pioneer, albeit one who entered the scene late and left early. The basic peer-to-peer computing protocol known as Gnutella had been hacked out by another prodigy named Justin Frankel and a few AOL cohorts in March 2000. Kan improved its open-source code to promote non-centralized swapping of music, video and software files on a globalized scale. His drily witty verbal style made him a favorite with reporters. In June 2000 Kan founded InfraSearch Inc to develop a peer-to-peer search engine technology. His notoriety helped attract investments from the likes of Netscape co-founder Marc Andreessen. In March 2001 Sun acquired Kan and InfraSearch to boost its own peer-to-peer project named JXTA. Gene Kan's James Dean-like life -- complete with a love of street racing -- coincided with Napster's rise and subsequent well-publicized death struggle against the legal onslaught from the music recording industry. Millions of teens had begun downloading mpeg files from one another's computers, raising in boardrooms the spectre of a generation of digital freeloaders. But Napster's file-sharing protocol routed transfers through its own servers and died when it was enjoined to shut down. The Gnutella protocol has no such achilles heel. Anyone who installs the widely-available program becomes an independent server. Hydra-like, two new servers could take the place of every one shut down. And rampant file-sharing isn't limited to music. The same technology can be used to share blockbuster movies as well as popular games and software. Theoretically, at least, the peer-to-peer space championed by Kan had the potential to bring the world's media giants to their knees. And its potential for ubiquity makes the legal system an ineffective recourse. That was why he was found in his Belmont home on July 2, 2002 with a bullet hole through the head, speculate some. The San Mateo County Coroner fixed the date of death at June 29 and concluded that Kan had taken his own life. Presumably the suicide was triggered by one of Kan's longstanding bouts with depression for which he had been seeking treatment. It was, to say the least, an unexpected end for a 25-year-old Berkeley grad with much to live for. He was working at a lucrative programming post at Sun Microsystems and was already an icon of the peer-to-peer computing movement. Conspiracy theorists see in his death a mob hit ordered by music interests. They find circumstantial support in the jarring fact that Kan's body was cremated on July 5, barely three days after it was discovered. Gnutella-related comment boards reveal varied reactions to Kan's death. Some parody Kan's own astringent sensibility: "Cool. Sounds like he's perfected the B2B (Bullet To Brain) protocol. A genius, even in death." Others see the conspiracy shadow falling over all heroes of the peer-to-peer movement: "Does anyone know where [Gnutella originator] Justin Frankel is these days? Guess what? he's toast. Supposedly OD'd on speed. Even though he was with family on the night and time he was supposedly to have suddenly developed a drug addiciton in 15 minutes." pinning drives -- magnetic and optical -- are one of computing's limiting factors. They are slow, hog power, produce damaging heat and, worst of all, are vulnerabe to jolts, magnetic fields and electrical impulses. In other words, they are less than ideal for mobile applications like cameras, MP3 players, cell phones, PDAs and video games. Enter flash (or non-volatile) memory chips, semiconductors that retain data even when the power goes off. A pioneer in the use of chips as heavy-duty storage devices is Silicon Storage Technology Inc founder Bing Yeh. Yeh had founded SST in 1989 to produce BIOS chips, non-volatile memory chips that contain a computer's most basic operating instruction sets. But he saw mobile computing's growth potential and dedicated the $15 million raised in a 1995 IPO to developing a superior type of flash memory chip. It was called SuperFlash and the gamble paid of. During every year since 1996 SST has been among Silicon Valley's 20 fastest-growing companies. Today SST derives a large chunk of its revenues from licensing its SuperFlash technology to giant chipmakers like Samsung, Motorola, NEC, Seiko-Epson and Toshiba. Flash memory remains the fastest growth sector as of the semiconductor industry. In 2002 SST began developing its 3rd generation SuperFlash chip which will produce storage capacity of 2 gigabit by 2005 and eventually up to 16 megabit. At those densities flash memories can become viable alternatives to hard drives in notebooks and laptops, greatly enhancing their speed and portability. Bing Yeh attended National Taiwan University where he was a physics graduate student. He left Taiwan in 1976 with $20 in his pocket. Yeh and a partner patented SuperFlash and applied the technology to produce credit-card sized memory-boosting cards for laptops. The demand never materialized, and by 1992 SST had been reduced to 10 employees and $700,000 in revenues. What saved SST was the popularity of memory-gobbling Windows 95 operating system. The sudden demand for larger-capacity non-volatile system memory chips produced a quantum leap in SST's revenues, mainly through sales to Taiwanese producers of PC motherboards. That was when Yeh took SST public to raise the capital needed to invest in its second-generation flash memory chips.